Life can happen at really inconvenient times. If one of those times happens to be when you have a scheduled family law court date, you will need to ask the court for a continuance, or postponement, of the hearing . The process varies by state, so check the specifics with your local court clerk. Two ways to get a continuance are by filing a motion or by agreement between the parties. Ask your spouse or his attorney to agree to a continuance. If you do reach an agreement, ask for a document (fax, letter or email) showing that the other party agrees to the continuance. You can either take the letter to the judge’s clerk or file for a continuance and attach the document as an exhibit, depending on the rules in your state. Prepare a motion for continuance or write a letter asking the court for a continuance. Some courts have a pre-printed form. If you are writing a letter or motion, include your name, other side’s name, court’s name, case number, and reason you need the continuance. Include a good reason for your request, such as a medical or family emergency or an out-of-town business obligation. File the motion or letter for continuance. You should attach evidence of your need for a continuance. This might include medical records, printout from the clerk showing faulty notice, or a letter from your employer. If the other side objects to your request, your reason and the supporting evidence will be crucial to your success in gaining the continuance. Request a hearing on your request for a continuance if a hearing is required. (The judge may grant your request without a hearing.) Once the clerk of court gives you a date, you are required to provide the other side with notice according to the rules of your state. 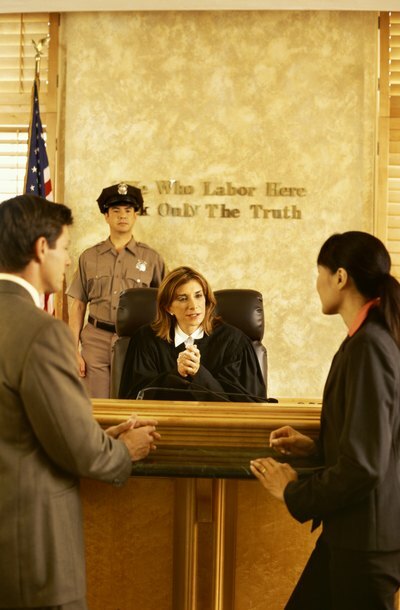 Rice Family Law: Can I Get a Continuance of my Court Date? Thurman Arnold: Can I Continue My Divorce Trial?